Year Two of the Her Universe Geek Couture Fashion show debuted at San Diego Comic Con on July 9, 2015. After last year’s successful show, many designer hopefuls raced to submit their dreams on paper in hopes of being selected. 25 of those hopefuls got to walk the runway in front of a very excited crowd of fellow geeks, female and male alike. Leetal Platt recieved the audience choice for her quick-change Sailor Moon design, “Usagi’s Transformation.” I found it to be an incredibly brilliant design not just because of the dramatic on-stage transformation, but because Platt definitely did her research in pulling all the elements and colours from Sailor Moon’s animated transformation sequence from the show. I’ll confess alot of the designs this year feel a bit too literal and tend more towards costumes than fashion (though that is purely my subjective opinion). Last year felt more fashion-esque vs. cosplay-esque. Although I can definitely understand there being any confusion among the designers as I haven’t quite figured out the final goal of the Her Universe Fashion Show. Is it to design more towards everyday pieces to gain the eye of Her Universe and Hot Topic for the prize of designing their next clothing line or creating Paris-level geek couture ensembles? My impression from the press releases and contest writeups have been the latter, but the reality seems to be favouring more of the former, looking to continue on similar designs as the Her Universe apparel lineup (skater dresses, rockabilly, etc.) Now, I’m not knocking that choice at all, but some clarification as the final contest goals would be helpful (especially as I’m considering possibly entering next year. *dun dun duuuuuh!*). Here are the other creative designs from the show. (My personal favourites were the two winners along with Poison Ivy Green Love by Oseas Villatoro and Alien Queen by Jesse Thaxton for being the closest to regular haute couture. And lastly, Unicorn in the Waves by Jennifer Newman for being a serene, elegant ensemble (it’s begging for a chilly forest photoshoot to be done with it.). But that’s not all….next year promises to be the most exciting year yet! 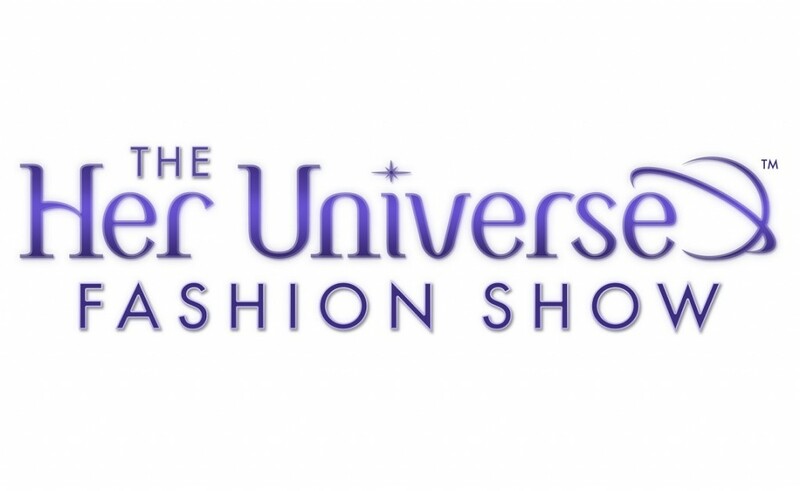 Her Universe is teaming up with Blondie Girl Productions to shoot a TV show based around the Geek Couture Fashion Show that will follow the designers chosen for next year’s show. It will be a journey of getting to see the design processes of each contestant, from initial concept through sewing and fabrication to the final walk down the runway at San Diego Comic Con 2016. It’s an exciting time in the ever-evolving landscape of female fandom. Photos: The talented Deb Anderson over at Aggressive Comics.